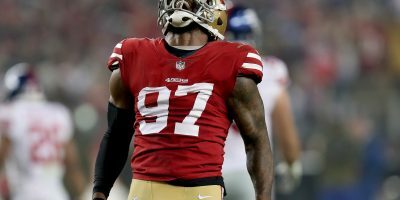 Despite outplaying the Cardinals (2-6) for the majority of the game, and finally winning the turnover battle, San Francisco (1-7) folded late. And an ugly 18-15 defeat dropped the 49ers to last place in the NFC West. After a first half as ugly as the two teams’ 2-12 combined record entering the afternoon, the second half proved to be far more entertaining — more so from from the Cardinals’ perspective. Both quarterbacks were hit and sacked frequently through the first 30 minutes, and when he wasn’t on the ground C.J. Beathard was overthrowing open receivers. The only thing that seemed to work for either offense was the Cardinals screen game, but that success was still limited. The result was a pitiful 101-61 total yardage advantage for Arizona, and a 5-3 halftime lead for the 49ers. The difference came from a safety midway through the first quarter, an intentional grounding call on rookie quarterback Josh Rosen. 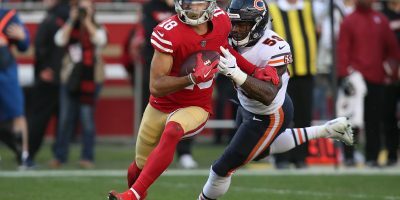 The offensive drought continued to the midway point of the third quarter when Beathard hit Marquise Goodwin with a short pass over the middle that the explosive receiver took 55 yards to the end zone, relatively blowing the game open at 12-3. 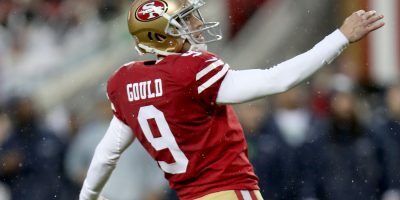 The San Francisco defense kept its suffocating effort going, giving the ball right back to the offense. However, a strong 11-play, 73-yard drive stalled at Arizona 4, resulting in just a field goal — though given the game’s previous goings on it appeared to be a huge result. 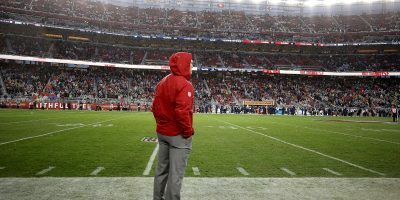 Arizona was able to get a touchdown of their own just a few minutes later courtesy of wide receiver Larry Fitzgerald, but San Francisco still looked in control. 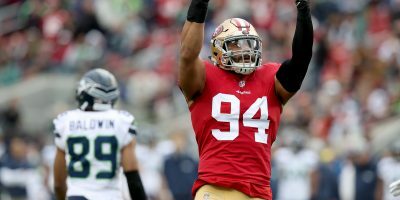 In fact, they got their second take away of the game, a fumble by tight end Jermaine Gresham recovered by Fred Warner, with just under five minutes left in the game. With a chance to push the ball and stifle any Arizona hope, the 49ers crumbled instead. They quickly punted the ball right back to the Cardinals, who had just under two and a half minutes to score. Defensive coordinator Robert Saleh appeared to go with a prevent defense, rather than continuing his unit’s attacking ways that had been successful to that point, allowing Arizona receivers to make clean catches for first downs. 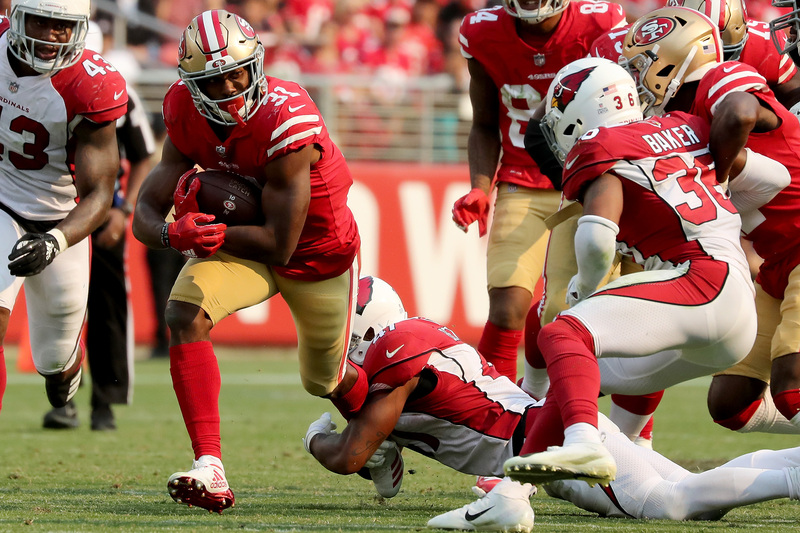 Before the 49ers knew it, Rosen was hitting rookie wide receiver Christian Kirk in the back of the end zone for a shocking last-second touchdown. They also converted on the two-point conversion, giving Arizona a 18-15 lead with 34 seconds left. 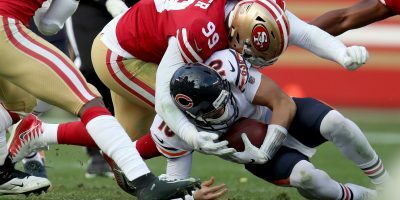 Any opportunity to tie the game was nixed when backup center Erik Magnuson snapped the ball way over Beathard’s head, forcing Beathard to recover and throw a meaningless pass.